Yellow birds and colorful flowers ring-in the holiday season in a set of ornaments from India's Syed Aijaz Hussein. 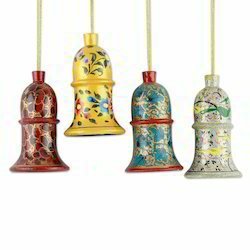 The set of four includes bells carved from weeping willow wood and painted by hand with festive detail. Each includes a ringing brass bell. - Each (4): 3.5" H x 2" Diam. use for home & CHRISTmas tree. 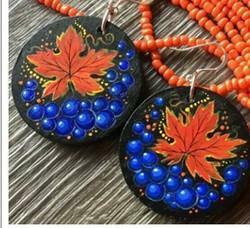 We are engaged in manufacturing and exporting a wide range of wooden ornaments. We Provide Products Which Are Of Good Quality Are Of Cheap Rates And Which Are Totally Affordable.